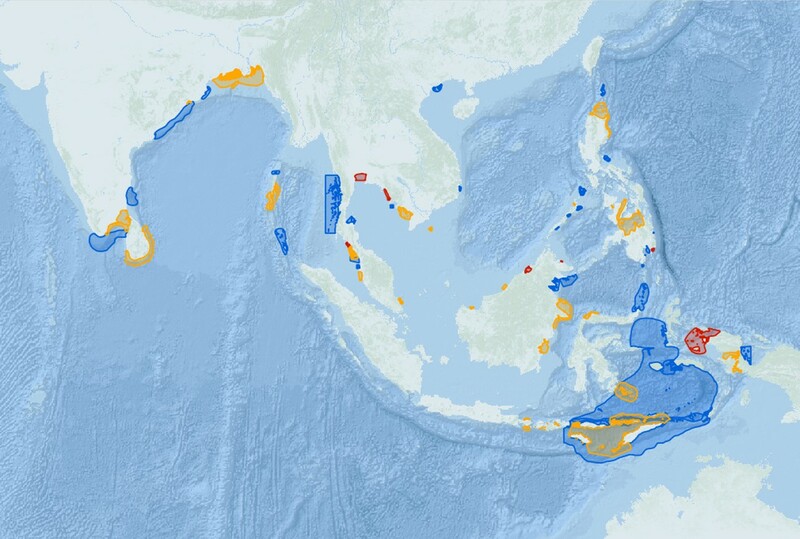 The IUCN Marine Mammal Protected Areas Task Force has approved 30 new Important Marine Mammal Areas (IMMAs) in the northeast Indian Ocean and southeast Asian seas region. These 30 IMMAs were part of the outcome of a regional IMMA expert workshop held in Kota Kinabalu, Sabah, Malaysia in March 2018. Now that they have passed through the expert nomination and peer review process, they will be included in the IMMA e-Atlas on the Task Force website. The newly recognised IMMAs cover habitats of the coastal northern Bay of Bengal off Bangladesh, which has one of the world’s healthiest populations of Irrawaddy dolphins, as well as other dolphins and whales. They also cover the Babuyan marine corridor in northern Philippines, which is important for breeding humpback whales. In eastern Indonesia and the Coral Triangle region, new IMMAs are recognised for blue, Bryde’s and Omura’s whales, as well as for spinner, pantropical and other tropical dolphins. The next IMMA expert workshop under the GOBI patronage will take place in March 2019, in Oman, and will cover the Western Indian Ocean and Arabian Seas. GOBI is supported by the International Climate Initiative (IKI). The German Federal Ministry for the Environment, Nature Conservation, Building and Nuclear Safety (BMUB) supports this initiative on the basis of a decision adopted by the German Bundestag.